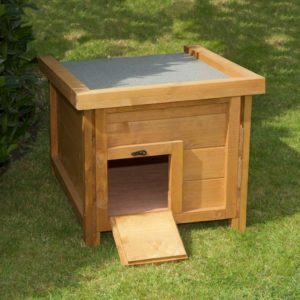 Our rabbit runs are ideal for all who want to give their furry friends a place to play while still adequately protected. 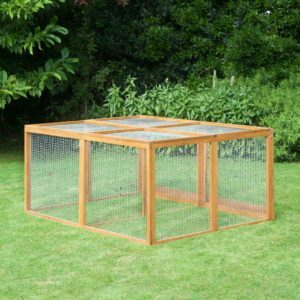 Made out of high-quality wood and wire mesh, designed to be durable and suitable for housing one or multiple rabbits. 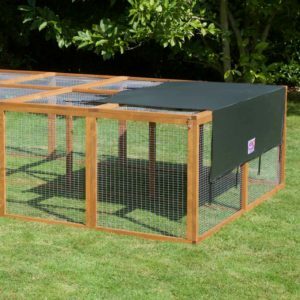 All our rabbit runs are protected with rabbit friendly treatment to keep both your new run and furry friends in excellent condition. 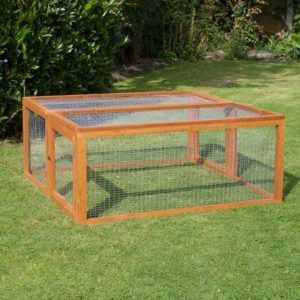 We have a range of rabbit runs for sale that will meet any size of the bunny family. From our fantastic folding range of runs to our market leading extra large rabbit runs, we can cater for all different sizes and demands. All pets should be able to enjoy the outside free from worry and danger. That’s why we teamed up with Scratch and Newton and developed the Run Shade. These handy shades act as Sun blanket, enabling you to a have a portion of the run utterly free from the harmful effects of the Sun’s rays. You’ll be deeply satisfied knowing that your pets have a cool down area whenever they feel the need. 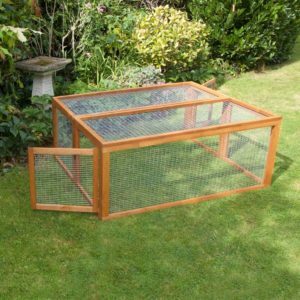 One of the reasons our Rabbit Runs are so popular with customers is because they are perfect to use with a hutch. 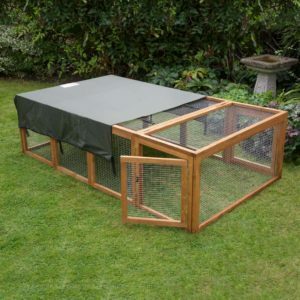 Our Chartwell range of Rabbit Runs are ideal for stand-alone duty, but if you wanted the convenience and peace of mind of knowing that if your pets wanted to go outside and stretch their legs whenever they wanted while still being protected they can. 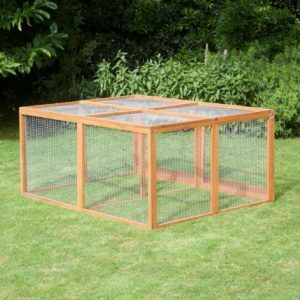 Our range of Chartwell Rabbit Runs are for you. 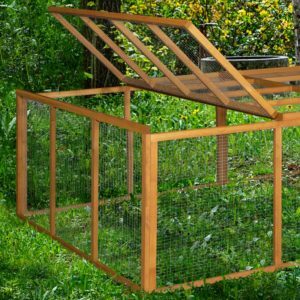 Designed with your bunnies’ best interest at heart all of our runs are covered by wire mesh to keep your rabbit in and predators out. 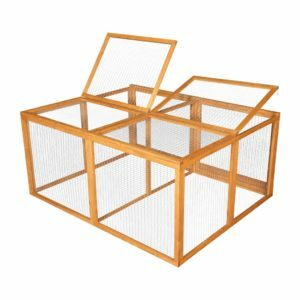 We use sturdy wire mesh no larger than 1 inch in diameter to keep your rabbit safe and prevent them from catching a foot in the cage. Our Chartwell Range over two feet tall allowing your pets to full stretch up and jump without bumping their heads. We recommend a couple of accessories to go along with your run to ensure that your rabbit is ready for all weather. 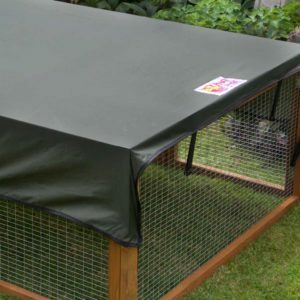 Rabbits can not sweat or pant to keep cool and rely on their big ears as a cooling system, our Run Shades are perfect at providing them with a shady place to relax and escape the heat, as well as a dry spot for when it rains. Rabbit toys and boredom busters are a great way to keep your rabbits entertained and chew toys can help keep the rabbit’s teeth clean and healthy. Rabbit Runs for every occasion. We have a range of static runs. However, if you require something less permanent, we have a selection of folding runs that when needed can be set up, moved around and then quickly folded down for storage. 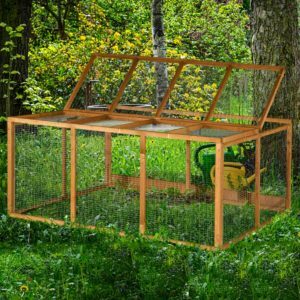 Two people can also move our folding runs around easily so if your pet likes to eat plenty of grass, you don’t need to worry about it growing back before you can let them loose again. 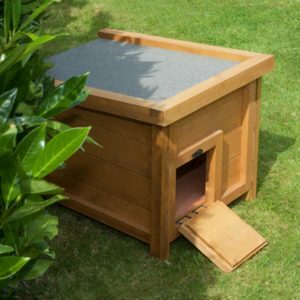 Whether you’re in need of cheap rabbit runs or determined to give your pets the most significant run around available, we can cater for every bunny related need. 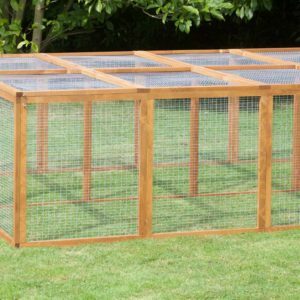 We have rabbit runs available at an affordable price, and we are always working to expand our services so you know that you can get everything you need from Home & Roost. 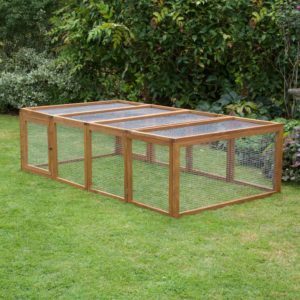 If you would like to find out what other runs and hutches we have available, please do get in touch with us today and we will try to get the item you need in stock. For other enquiries, contact us today. We can’t wait to take your call.